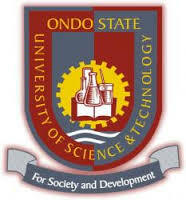 Ondo State University of Science and Technology (OSUSTECH), Okitipupa Joint University Preliminary Examination Board (JUPEB) Entrance Examination Date, Time, Venue and Requirements for 2018/2019 Academic Session. Sequel to your application to JUPEB programme in Ondo State University of Science and Technology (OSUSTECH), Okitipupa, you are hereby invited for entrance examination on Tuesday, 2nd October, 2018 at the University Mini Campus, Okitipupa by 10 a.m.
You are to submit the following documents on or before Tuesday, 2nd October, 2018 to the admin incharge of JUPEB in OSUSTECH. Note: Lectures begin immediately for the successful applicants. For more enquiries, you may call this number 08039634941.